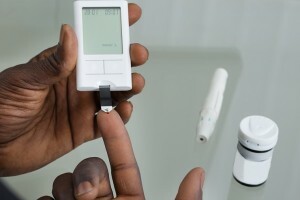 CALIFORNIA – With diabetes so prevalent across the Caribbean, a claim by US researchers that the pancreas can be triggered to regenerate by a type of fasting diet comes as welcome news. In animal experiments, restoring the function of the pancreas reversed symptoms of diabetes. Experts said the findings were “potentially very exciting” as they could become a new treatment for the disease. The study, which was published in the journal Cell, claims that the diet “reboots” the body. For the experiments, mice were put on a modified form of the “fasting-mimicking diet,” which was similar to the human form of the diet in which participants spend five days on a low-calorie, low-protein, low-carbohydrate but high unsaturated-fat diet for a total of around 800 to 1,100 calories a day. They then have 25 days eating what they want, mimicking periods of feast and famine. Previous research has suggested that this type of diet can slow the pace of ageing, but animal experiments also showed that the diet regenerated a special type of cell in the pancreas called a beta cell. Beta cells detect sugar in the blood and release the hormone insulin if it gets too high. The benefits extended to both type 1 and type 2 diabetes in the animal experiments. Type 1 is caused by the immune system destroying beta cells and type 2 is largely caused by a sedentary lifestyle with poor diet choices and the body no longer responding to insulin. Dr Longo said of the latest research: “Medically, these findings have the potential to be very important because we’ve shown – at least in mouse models – that you can use diet to reverse the symptoms of diabetes. Dr Longo nevertheless emphasized that people should not rush off and crash diet without medical supervision. Doing so could get people “into trouble” with their health, he cautioned.